Khotachi Wadi: Among the cities many best kept secrets is the timeless heritage village of Khotachiwadi, situated in Girgaon, Mumbai. Houses that conform to old Portuguese styled architecture, only painted in imaginative hues by the present generation turn the clock back several decades into the lives of traditional East Indian Christian community life, of which, so little is known outside of Mumbai and Goa. Walk through its narrow streets and knock on doors on impulse to converse with descendants of some of the most historically steeped families in the city. 65 Million year Old Hill in Andheri: In an obscure part of the city, you will find one of the strangest phenomenons of nature – the 200 ft tall monolith column of black basalt rock known as Gilbert Hill is amongst only two of its kind in the whole world. The rock has a vertical face and is a Grade 2 structure, but lies in decline on account of continual decline & lack of maintenance. The panoramic view from top of suburban Mumbai, is worth the effort though. Chor Bazar (translated literally, Thief Market) is term colloquially used for a market renowned for selling stolen items. While this trend still exists in its bewildering, interconnecting by-lanes, the absolute variety of goods being sold on its streets is marvel-worthy. Keep your wits around while shopping in these lanes – it is known for hawkers that will sell fakes, shoddy second hand items and even pick-pocketers a plenty. Colaba Causeway: in the vicinity of the Gateway of India, lies the renowned Colaba Causeway, filled with tourists & locals. What brings them to the Causeway? A great collection of authentic Indian souvenirs, antiques, carpets – as a foreign tourist, this is one of your places-to-go to buy souvenirs for back home. Make sure you bargain, and bargain well – the prices quoted by the road-side vendors is bound to be exhorbitant, and you will need to negotiate well to walk away with a good product at a reasonable price. 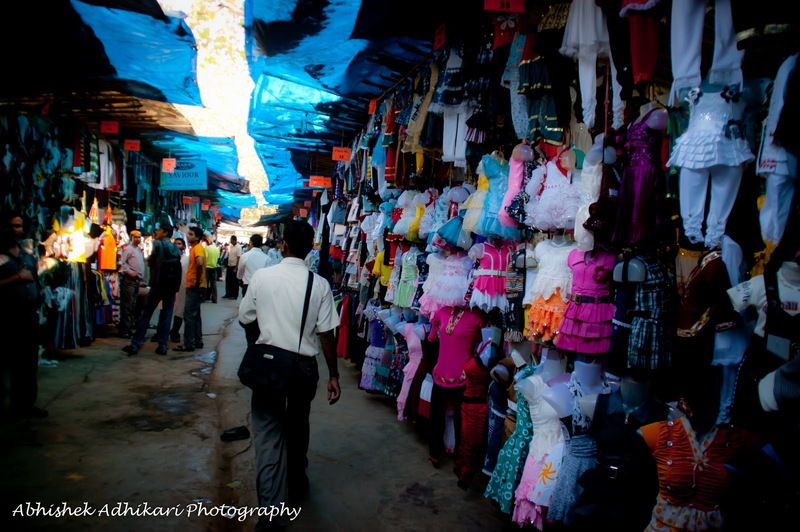 Street Shopping in Mumbai – One of the most unique experiences of the city! Zaveri Bazaar is the place to go for jewellery shopping – the sheer number of options available in this traditional jewellery market in Bhuleshwar, South Mumbai will bedazzle you to say the least! Crawford Market: within 10 minutes of walking distance from the Chhatrapati Shivaji Terminus, this is a wholesale market that offers a wide variety of imported goods such as food, cosmetics, household & gift items. Have a tryst with Bollywood: Mumbai is the hometown of Bollywood; countless youngsters come to the city every day with a dream to become the next Amitabh Bacchan of Bollywood, leading to the city also being titled the ‘city of dreams’. Take some time off to watch a movie in one of the countless movie theaters in the city. Go beyond the local multiplexes and explore some of the older theaters of the city such as Regal, Eros, Metro, Imax Adlabs, Chandan Cinema, etc. Spend an evening on the sea-front: if you’re fortunate enough to find affordable accommodation at a sea-front place, you’re already blessed. If not, do spend a day at one of many sea-front promenades; in particular the Marine Drive, which is known as the queen’s necklace at night and is quite a sight when seen from a distance/height. Worli Sea Face or one of Bandra Bandstand, Carter Road are other brilliant options – munch on some roasted corn as you stroll through the breezy promenades. The sea has always been special for the city, and many travelers fall in love with the city on dusky evenings spent gazing at the benevolent Arabian Sea. Discover secret cafes in the by-lanes of Bandra: Bandra is where the city and the suburb collide with great force. The suburban areas of Bandra are tranquil with hidden cafes and amazing bakery shops littered through its peaceful streets. Take a walk through Turner Road, Pali Hill or for that matter any of Bandra’s inner lanes and fall in love with the beautifully constructed duplexes/bungalows that have stood there for decades. Mingle with the local Christian community and experience their unique take on the English language. Experience A Rainy Day in Mumbai – The City shares a strong bond with the sea and the monsoon, despite the inconveniences it brings!